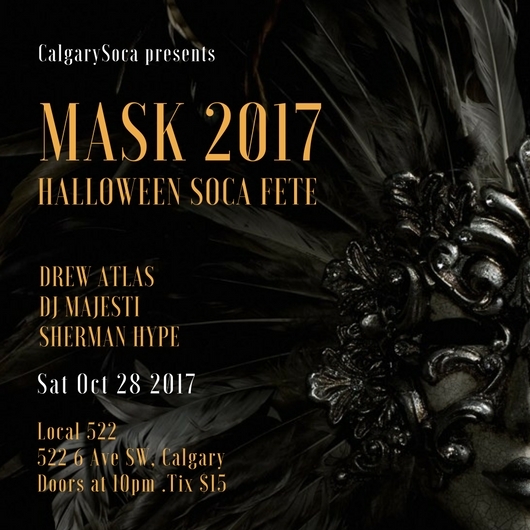 CalgarySoca presents our annual Halloween Soca fete at Local 522. 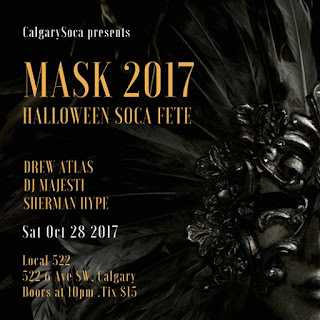 Break out your masks and costumes, (traditional or otherwise) and join DJs Drew Atlas, DJ Majesti and Sherman Hype for another night of revelry. Saturday October 28th. I will definitely come check this place again with some other awesome friends of mine! It's one of best places for having a good time with a joyous feeling. And NYC venues fascinates me with its great style and vibrant atmosphere.